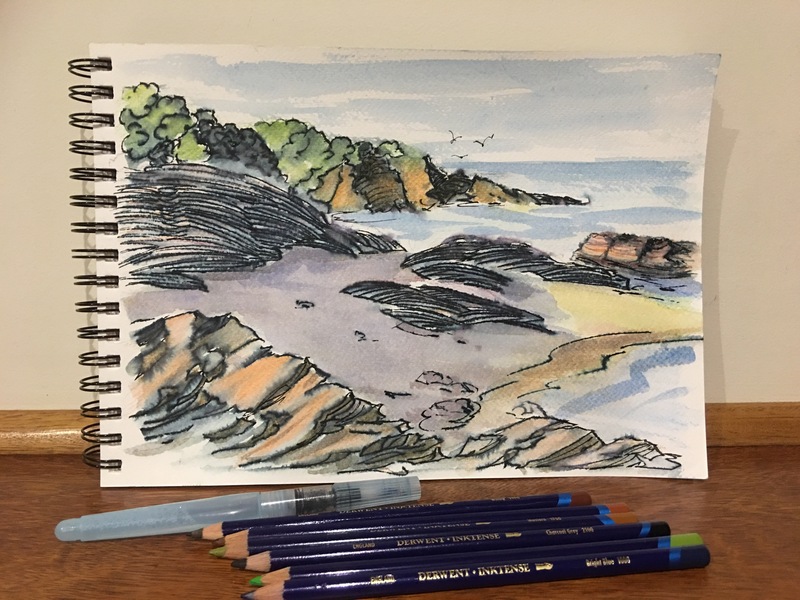 A short little holiday and with it a surprise purchase of Derwent Inktense pencils. Let me loose in an art shop, and I’m sure yo come out with something new! They work like watercolour pencils, nicely dissolve but are a lot more intense in colour. This is the first time I’ve used them, and found them fun, especially using them with my other ink pen, the Elegant Writer. This is a sketch of Quarry Beach, Mallacoota with its rock formations, like none I’ve seen before! Thank you as I’m not usually as bold! But you know, I actually like it! 🙂 so thanks again! That looks really nice! I like it, great work! i like them the way you did them!